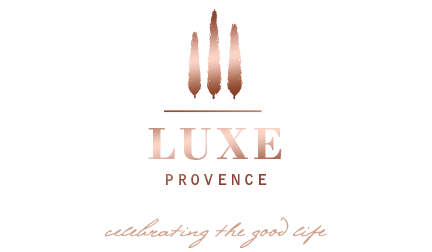 Aix en Provence, France — 21 July, 2017 — Luxe Provence has expanded their Good Life celebration beyond the Provencal borders with a new ultra-luxury Mediterranean Gold subscription experience. Discover the SlowLuxe Mediterranean lifestyle through highly-curated collections featuring the artisanal beauty and luxuries of the South of France, Greece, Italy, Spain and Morocco. Each limited-edition luxury collection features modern heirloom pieces, chic style and sustainable high-design from select artisan-rich Mediterranean regions. Subscribers will also receive exclusive designer collaborations, along with avant–première pieces from the Luxe Provence Lifestyle line, beginning with their SS/18 Resort Wear collection. The Mediterranean Gold Subscription may be purchased as either a two gift trial curation, or an Annual Subscription consisting of four gift deliveries. Visit the Luxe Provence subscription and boutique website at: www.luxe-provence-box.com for more information and to purchase our Luxe Provence subscriptions or lifestyle line of products. Launched in August 2015, the original Luxe Provence Blush Subscription sold out quickly to discerning clients in the USA, Hong Kong, Singapore, Australia and Europe. Luxe Provence is lifestyle brand located in the South of France, expanding rapidly each month with new subscribers, luxury event planners and boutique retail locations. For luxury event gifting quotes, including weddings, please contact a Luxe Provence Events Manager at: events@luxe-provence.com. For Luxe Provence Lifestyle Brand enquiries and orders of our SS/2018 Resort Wear Collection for your speciality retail store or boutique hotel, contact us at: orders@luxe-provence.com.